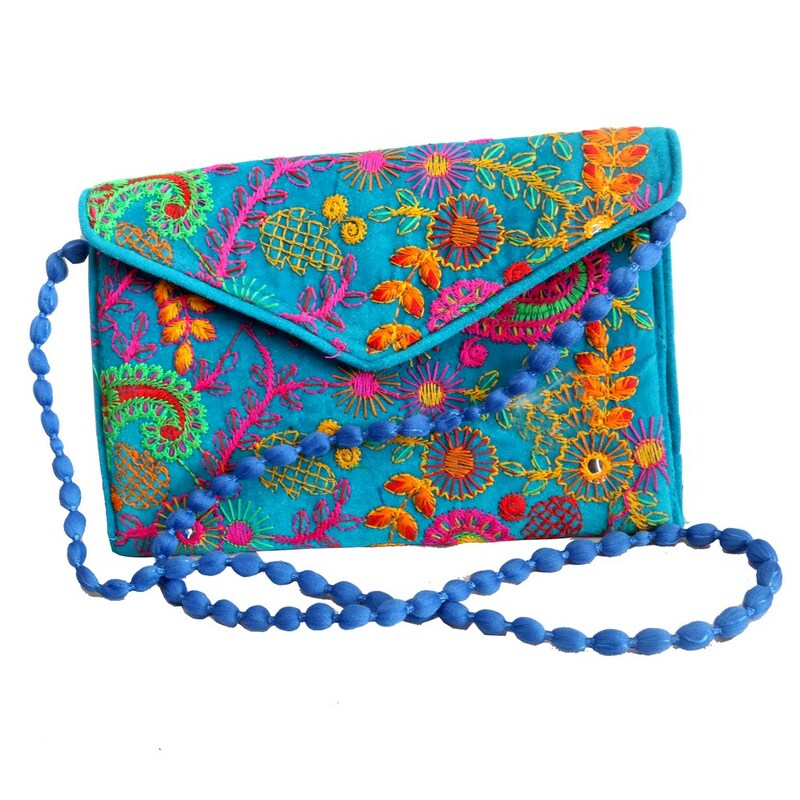 This soft sky blue colour sling clutch bag is entirely covered with colourful embroidery work. These heavy handcrafted designs makes gives the correct proportion of Read More..ethnic and trend setting parameters. It comes with a long and comfortable sling, suitable for simple hangouts to parties. Show Less..